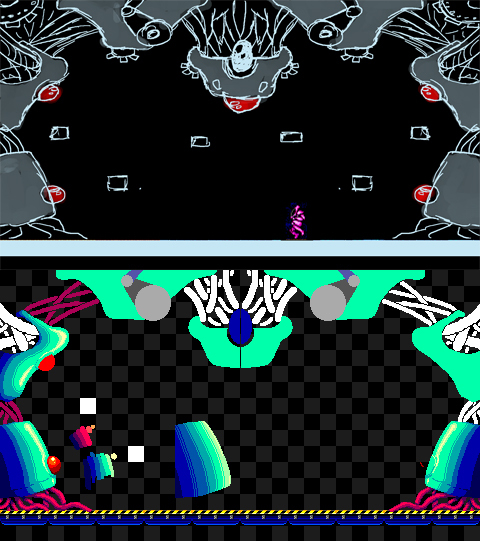 Here's a bit of extended gameplay from one of the first levels (each area consists of 2 selectable levels, both of which must be completed to progress). I am currently adding 'fluff' elements to the levels. These are basically background features like cobwebs, hanging vines, stalagmites, crumbling rocks...non essential but little visual touches that add to the atmosphere. One thing I have abandoned are boss levels. I went through various concepts for these. 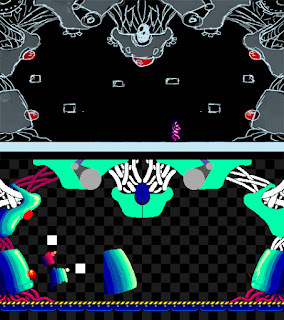 The first was just a fixed screen with standard gameplay and a big nasty to kill. 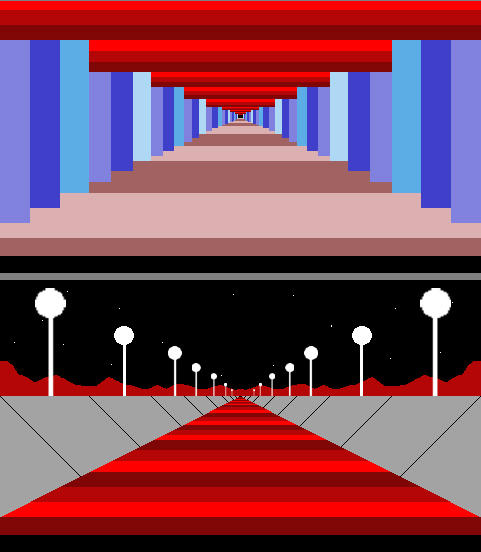 Next, I was thinking of a 3D into-the-screen section (like the tunnel sequence in Konami's ALIENS coin-op). But in the end it was starting no feel like feature creep, and also would extend development time too much. With the current 7 levels, the game already feels like a good length and making it too long would just cause player fatigue. So boss battles are ditched. Maybe in a sequel? The main thing left on the 'to do' list is the ending and the music. It does feel like the last stretch is ahead, so a release next year is looking almost definite now.